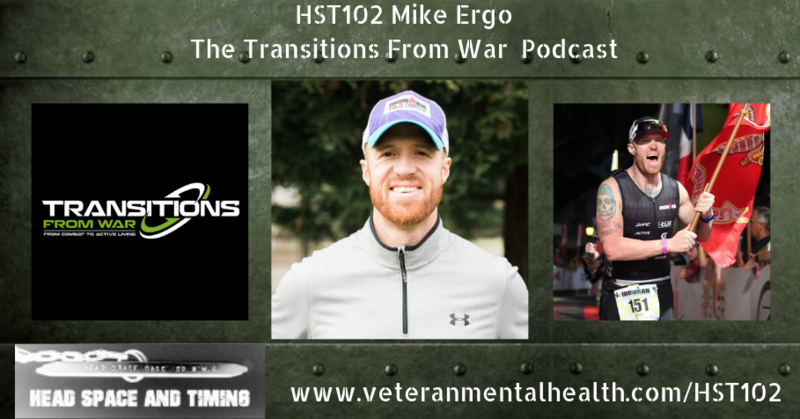 Mike Ergo served as a Marine rifleman with 1st Battalion, 8th Marines from 2001-2005 and deployed to Iraq twice. Coming home from combat was rough. He has said that his body returned, but his mind and spirit were still in Fallujah for many years. His blog and podcast is for all who have answered our nation’s call to service and returned home looking to transition from the battlefield. In triathlon, one must be able to quickly change from swimming to cycling and again from cycling to running. The successful athlete can make this change in a fluid manner and be ready for the next challenge. His blog aims to inspire all of us to dare to dream big and crush the limits we have set for ourselves. Triathlons, trail running, and endurance challenges like GORUCK have help him to overcome the sadness, anger, fear, and anxiety that are a part of PTSD and moral injury. During the week, he works as a readjustment counselor and helps fellow combat veterans make positive changes in their own lives. But his blog is not about therapy or any “one-size-fits-all” prescription for others to copy. It is simply his own experience and the wisdom he’s gained from running into the same brick wall over and over again. He says that he is not a professional athlete. He is not the fastest competitor out there. 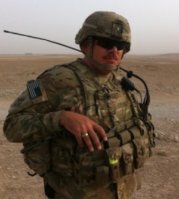 He is a combat veteran balancing a job and a family, striving for excellence and pushing himself to the next level.